Hall of Anime Fame: Kira Kira Precure Ala Mode Ep 10: Fruitty Fruitty Pie! 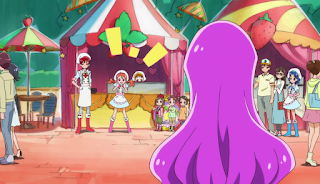 Kira Kira Precure Ala Mode Ep 10: Fruitty Fruitty Pie! Let's Cooking! 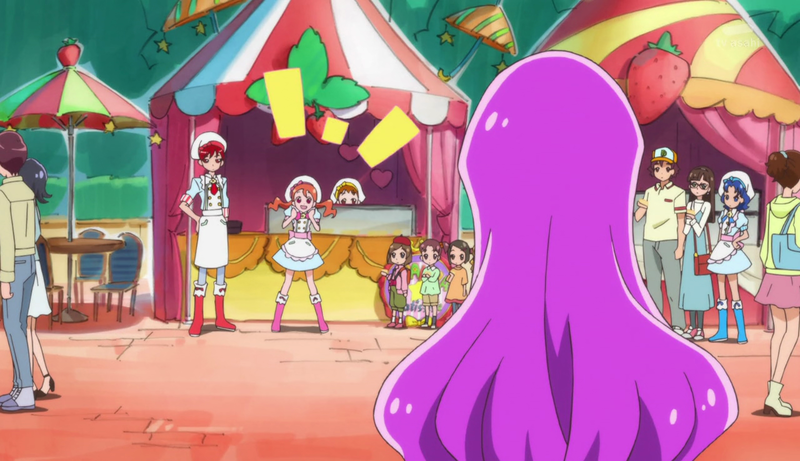 This is my review of Kira Kira Precure episode 10 and Yukari and Akira are tasked in finding ingredients for the upcoming Sweet Festival! 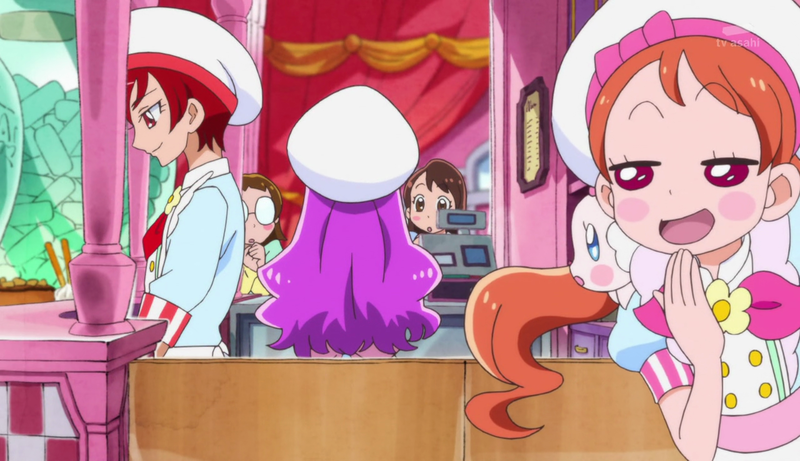 Getting the two of them manning the front counter was Genius, Ichika! Business was good at the Patisserie thanks to Yukari and Akira manning the front counter. Ichika decided for the Patisserie to enter the upcoming Sweets Festival and she suggested to make a fruit tart pie. Yukari and Akira were tasked to find the ingredients in town however most of the fruits were sold out due to the festival. At the same time, the remaining three girls were harassed by two group of girls who claimed to be from Yukari and Akira's fan club. The fan club girls claimed that Yukari and Akira doesn't deserve to work at the Patisserie and demanded they should return the two girls back to the fan clubs. 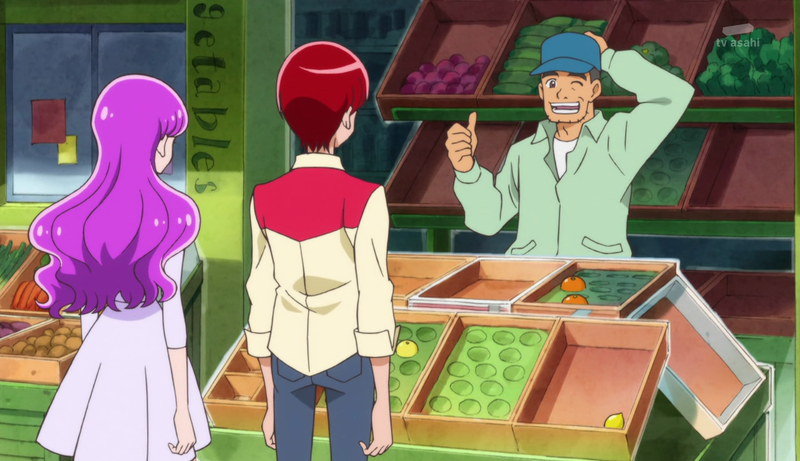 Instead of finding ingredients, Yukari decided to browse at an accessories store. 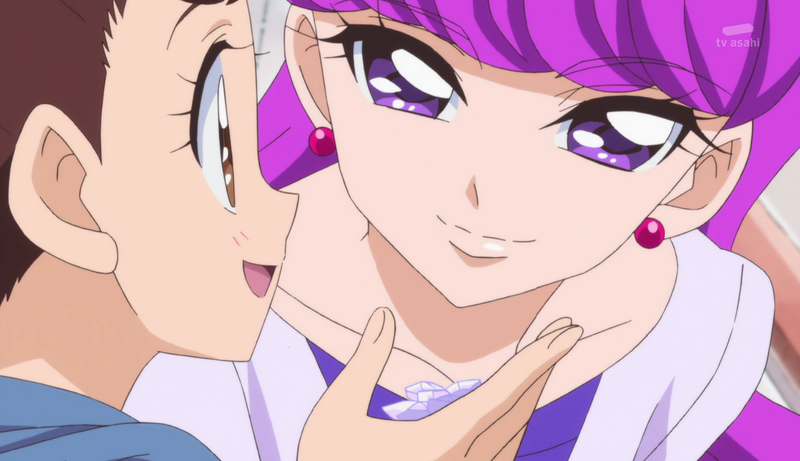 Akira was a bit annoyed that Yukari isn't focusing at their task however Yukari was getting ideas on the decoration and even encouraged a little girl to get a more mature looking brooch instead of a kid's brooch. 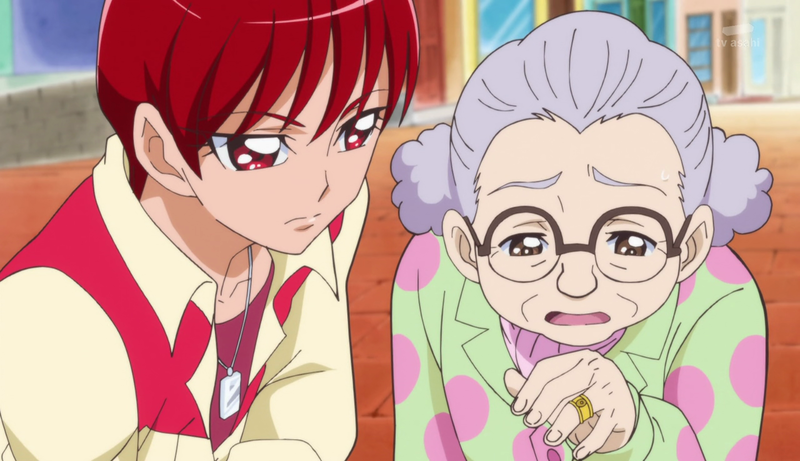 After that, Akira helped an old lady find her emerald stone that came off from her ring. 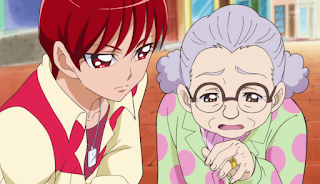 This time, it was Yukari's turn to get annoyed that Akira is going all out to help the old lady and indeed Akira did found the ring although the old lady mistaken Akira as Yukari's boyfriend which she accepted it as a compliment. 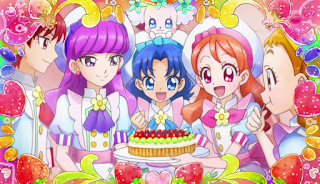 Although Ichika was troubled by the fan club girls, she managed to make the perfect tart pie and was about to show it to Pekorin and Elder. A new general, Tarton appeared and want to steal the tart leading the three girls to battle. 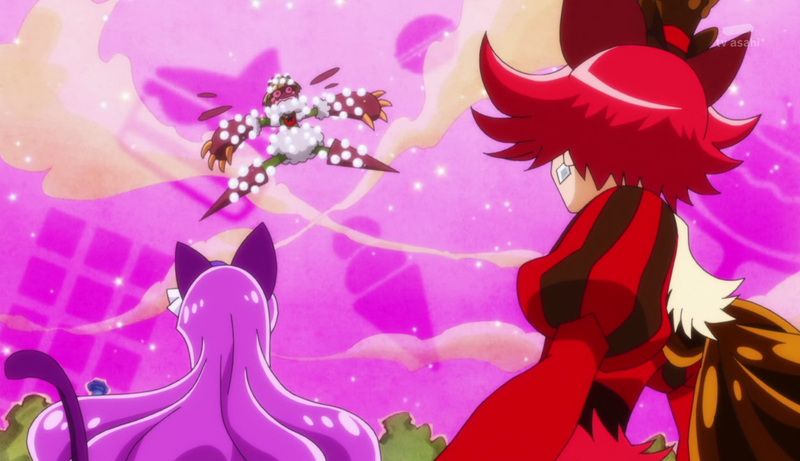 The three girls were not strong enough against Tarton until Yukari and Akira joined the fight. 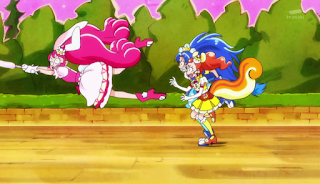 This time, Cure Macaron and Cure Chocolat combined their attacks and defeated Tarton easily. Before Cure Whip could say anything, Yukari and Akira transformed back and told the others they are heading to the next town to get ingredients. The Running Gag in this episode is having Ichika shouting "COME BACK" in English! People has been particular about too much Ichika-focus episodes can sign a relief as this episode is about Yukari and Akira. 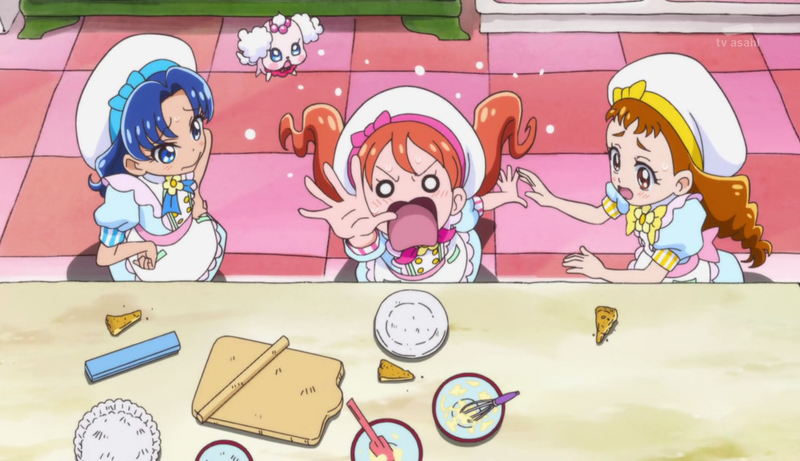 To be honest, I was expecting such an episode for the two older girls who have complete personalities. 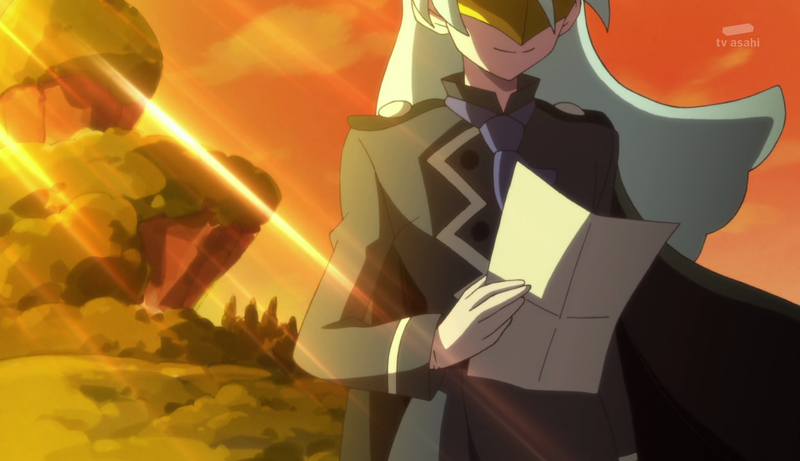 Yukari did things in a calm and relaxed manner where as Akira was being helpful and trying to get the task done ASAP. Both have their merits as they help others in their own way and both respected each other. The odd things was the looks of the fan club girls which I know they are stock characters but couldn't Toei give them proper eyes rather than Mickey Mouse eyes which scare the hell out of me. 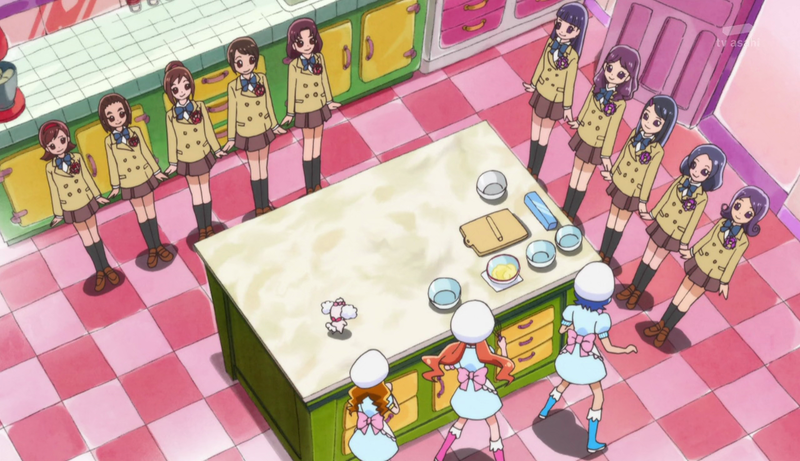 Aoi also make a point regarding Akira and Yukari since both of them are in high school and why are they hanging out with three Junior High girls instead of their peers? From Akira's words, she claimed she like hanging out with in the Patisserie and For Yukari (Although she didn't said anything), her life was too perfect and being a Precure actually make her realise how big the world really is. 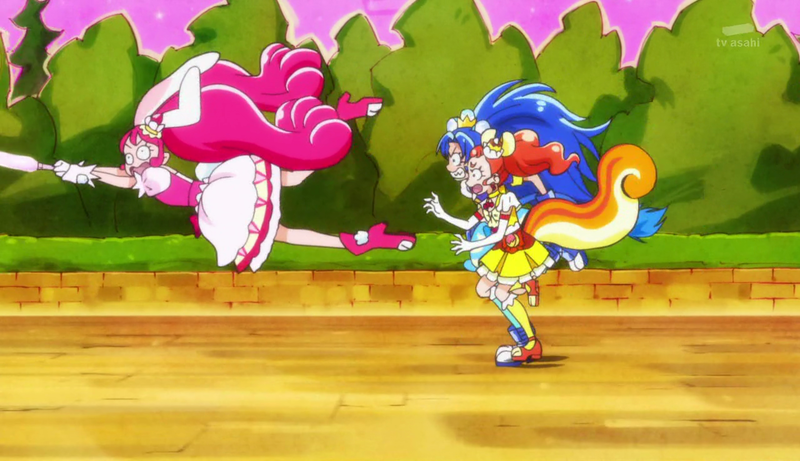 The fight scene was not bad as both Cure Macaron and Cure Chocolat combined their powers and created a pretty good finisher. Although their attacks really need names for it because reciting "Kirakira Kiraru" is going to get tired very fast. 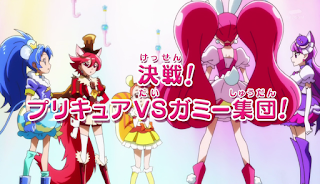 Look like Emiru, Tatsumi and Midori came to see the girls in the Festival. 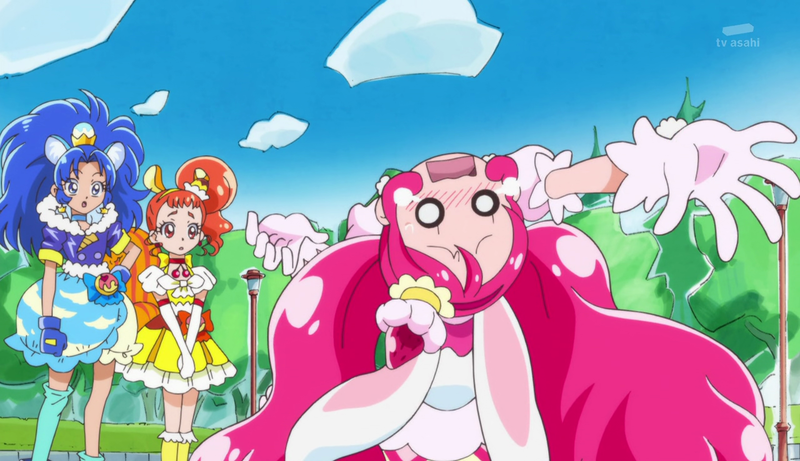 Although it might change in the next episode when the Mysterious Masked man and Gummy began to attack the Sweets Festival and the girls get their first power-up item! Until then, see you in the next post! P.S: I will be in Japan this Tuesday and I will probably watch episode 11 over there. I might not be able to do the next review until I come back next week. I think the eyes were made that way to purposely make them look creepy.